I really like this one, though I wouldn’t choose those white chairs – but the armchair and the sofa look very comfy. 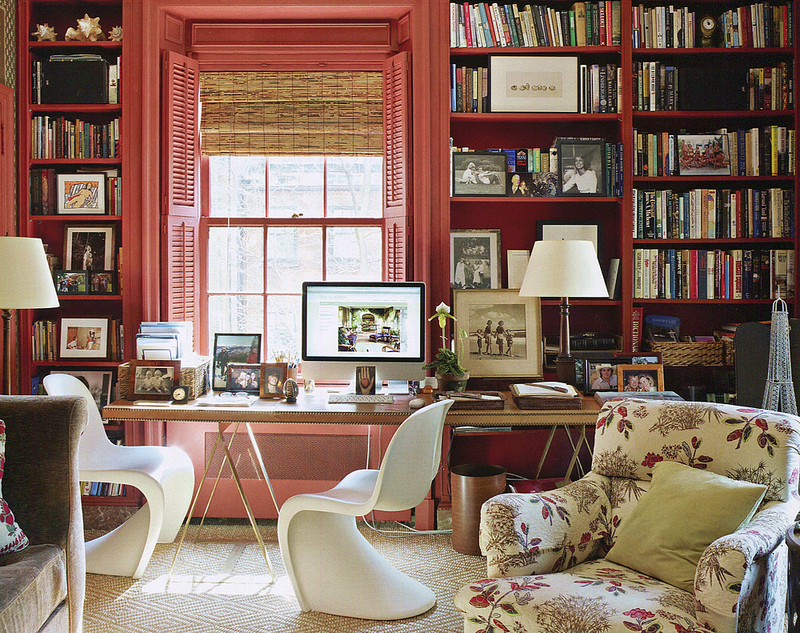 And I like the red wall, very homey. Our study bookshelves are exactly that same shade of pinky/terracotta! Love this room! on August 21, 2014 at 03:13 | Reply Kathy D.
I could really sink into the sofa or armchair in this room and never leave. Just bring in food, open up books and relax. But I agree that the white chairs have to go, to be replaced by comfortable chairs. Love the chair. So inviting!